Created an online gallery to display the client's collection of paintings. 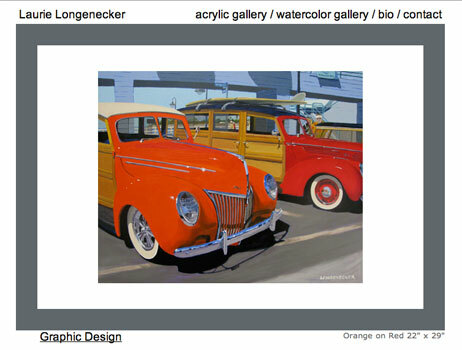 Laurie Longenecker, graphic designer, designed the layout and colors of the gallery. The pictures were arranged into the online gallery by abbaroo.com. The watercolor gallery was created in 2006, and the acrylic gallery was created in 2009.